Danielle Bregoli has already been splashing the cash this year as she spent $40,000 on new teeth to give herself a sparkling smile. Better known to the world as ‘Cash Me Ousside’ girl, Bregoli is now a successful rapper signed to Atlantic Records. Her debut single These Heaux made her the youngest female rapper to appear on the Billboard Hot 100 chart. Still rolling in the money, Bregoli, who goes by the stage name Bhad Bhabie, isn’t doing too bad for someone whose career was launched by a meme. So why not get some new teeth?!? According to TMZ, Bregoli didn’t like the way her teeth looked so decided to treat herself to some porcelain veneers which are usually used to mask chipped or discoloured teeth. Hitting up popular celebrity dentist Dr. Aamir Wahab in Beverly Hills, Bregoli’s procedure saw the rapper have veneers put on eight of her top teeth and eight of her bottom teeth across two four-hour-long sessions. Last year Bregoli became a gold-selling artist and the year before she became a millionaire after initially finding fame thanks to a confrontational appearance on Dr. Phil. In 2016 a then 13-year-old Bregoli appeared in an episode which dealt with rowdy kids. The teenager allegedly ran away from home four times a day and stole her mother’s credit cards. As the audience laughed at her, Bregoli infamously said ‘cash me ousside, how bah dah’ and thus an internet sensation was born. The happy accident paid off as Bregoli became a millionaire at the age of 14, amassed over 15 million followers on Instagram and continues to earn money left, right and centre. According to Celebrity Net Worth, Bregoli is easily earning around $100,00 a month just from product advertisements on her Instagram, with a single post making her as much as $50,000. Reportedly charging up to $40,000 for meet and greet sessions, Bregoli isn’t just relying on adverts to make her fortune. Bregoli’s management say it will cost $30,000 for her to appear at any event in the US and $40,000 internationally. So if you want Bregoli at your birthday party, hen do or stag party, it will cost you an arm and a leg, ‘how bah dah’? But the past couple of years haven’t been all plain sailing for Bregoli as she dealt with her new-found fame and various legal issues. Bregoli pleaded guilty in 2017 to grand theft auto, grand theft, possession of marijuana and filing a false police report, to incidents that all took place within a year. Sentenced to five years of probation, she narrowly missed out on jail time. Although it was recommended Bregoli stay in Palm Beach Country she has been allowed to complete her probation in California where she now lives with her mother Barbara Bregoli. 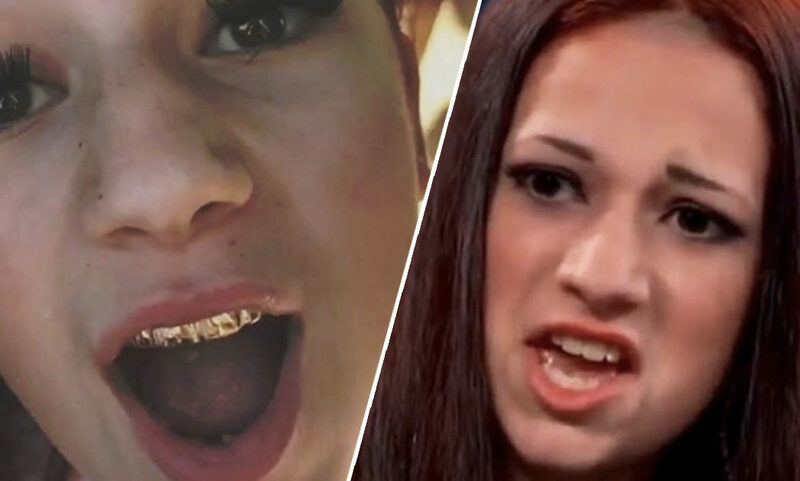 DANIELLE BREGOLI Teeth Were Bhad, Babie ... SO, I DROPPED $40K TO FIX 'EM! !